Make your site simple and easy for your customers so that they can find the right product on your store without any difficulty. 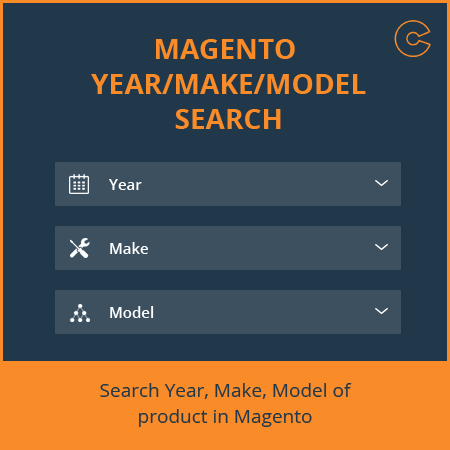 The Year Make Model Magento Extension is used to implement the search functionality where the customer may search a particular vehicle according to the year, make and model of the vehicles. Following this, one can view a list of the vehicles, parts or accessories according to their search entries. 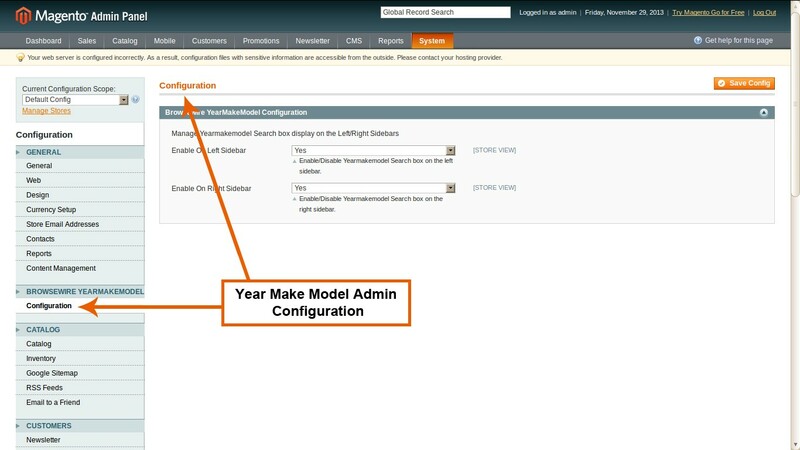 Magento Year Make Model Extension is very lightweight and everything is manageable from the admin you can show the search boxes any where on the site like the CMS pages, Left Sidebar and the Right Sidebar as well. It supports the multiple years, makes and models just enter all these values separated by the comma(,). 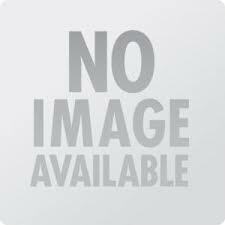 It is not only useful to vehicle store but also, you can use this extension for other e-Commerce store where you sell the products on the bases of Year, Make and Model. Install the extension with Magento connect. Extension will be enabled automatically. Check under System->Configuration->Advanced->Disable Modules Output to confirm it is enabled under name - Browsewire_Yearmakemodel. 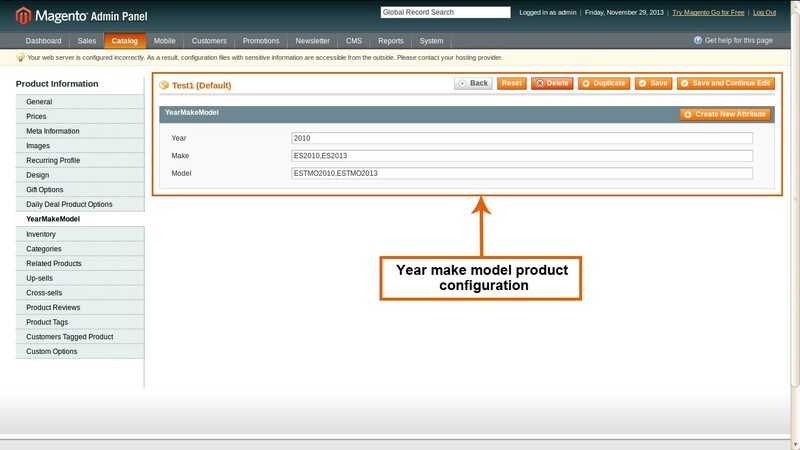 Now while adding/editing product under left tab Product Information->YearMakeModel, year, make and model can be defined for the product. To use it as a Widget, add/edit CMS page -> Insert Widget -> Select Widget - Browsewire Year Make Model Search.Two widgets are available: Normal Widget And Horizontal Widget. Select the widget template and insert. Enable/Disable YearMakeModel Search box in Left/Right sidebars in System->Configuration->Browsewire YearMakeModel. Multiple Years, Makes and Models supported. Enter the values as comma separated. Display search box on left/right sidebars with enable/disable ability. 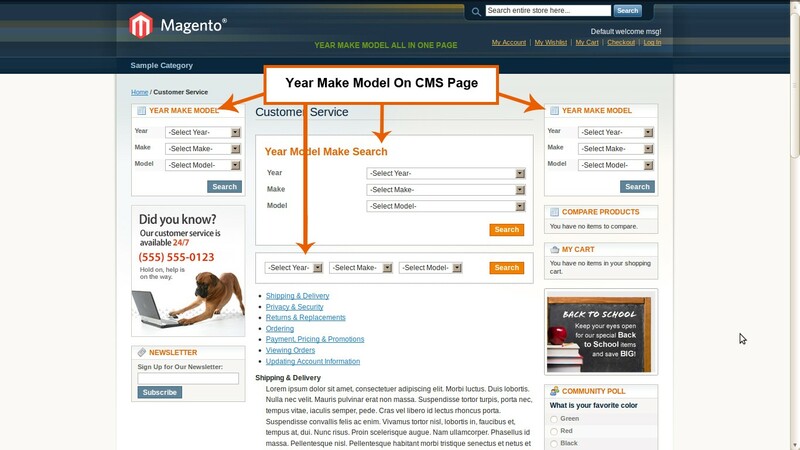 Display Year Make Model search filter on Home Page, CMS page. Horizontal view of year make model on Home Page. Easily integrate with your website themes. Supports multiple years association of products. Support multiple years, make and model. Search product on the single drop down selection. Easy to install and customization. Ajax based filtering based on selection of the make, model. By just selecting Year, Make, Model of product, visitor can easily find any particular product in your store and you can provide such features to your store only, if you have installed this extension.